A beautician’s best secret is actually the tools she uses. 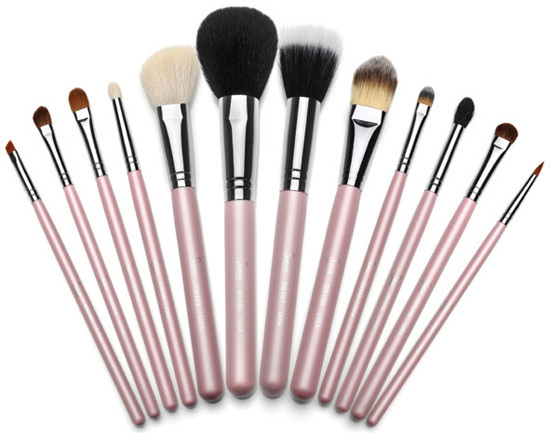 I’ve berated my beloved sister for many years over her crappy, scratchy set of brushes – having upgraded my main ones three times now (and I know any makeup artist would tell me it should be every year or something) – but at least she’s finally listening to me. Here’s the scoop on makeup brushes. You want something that won’t scratch your delicate skin – premium brushes are either made from super soft synthetics or natural fibres. You also want to take good care of these things. They’re an investment, so spend a bit of time cleaning them to preserve them for that much longer. In fact, don’t let your girlfriend miss the boat – buy a bottle of makeup brush cleaner so they’re constantly reminded to keep it clean. While there are a ton of brushes out there you should consider getting, I’m singling out the magic wand of brushes – created by Canadian company Cargo. With fibres that pick up powder like a magnet, providing you with perfectly even, flawless application, it’s a great way to achieve an airbrushed look. The shape can actually be used for blush, bronzer, or powder, making it super versatile (just remember to clean it!). Beyond that, the fibres are 100% natural, making it a vegan-friendly product. I don’t think I’ve touched on makeup brushes as a gift before, but they really are a great choice. They’re a little on the pricy side, making them a beauty luxury your buddy might not otherwise splurge on – yet they have a huge impact. Consider buying one to top up an associated beauty product gift from the same brand (ex: a cream blush with a cream blush brush), or mix and match – do a high-end brush with a bevvy of drugstore products. The Cargo Magic Brush retails for $34 and can be bought on the Cargo site or through super-awesome beauty eTailer BeautyMark.